Enjoy spectacular lake and mountain views from the great room in our multi-level loft units. 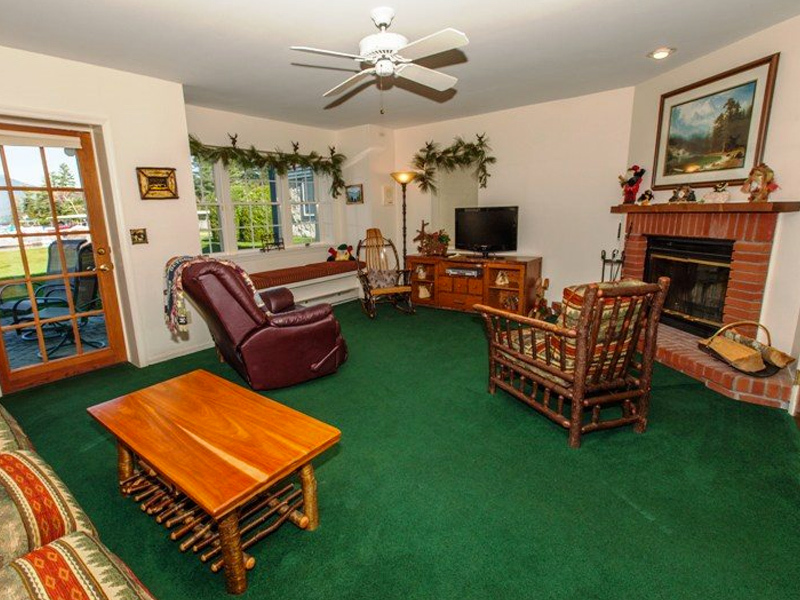 Living rooms complete with wet bar, fireplace, wireless internet, cable TV and DVD player. Kitchens include state-of-the-art appliances, eating space and adjacent laundry room. Spacious master bedroom suite with king or queen sized beds, private full baths with whirlpool jacuzzi tubs. There is a 5 night minimum during the holidays.